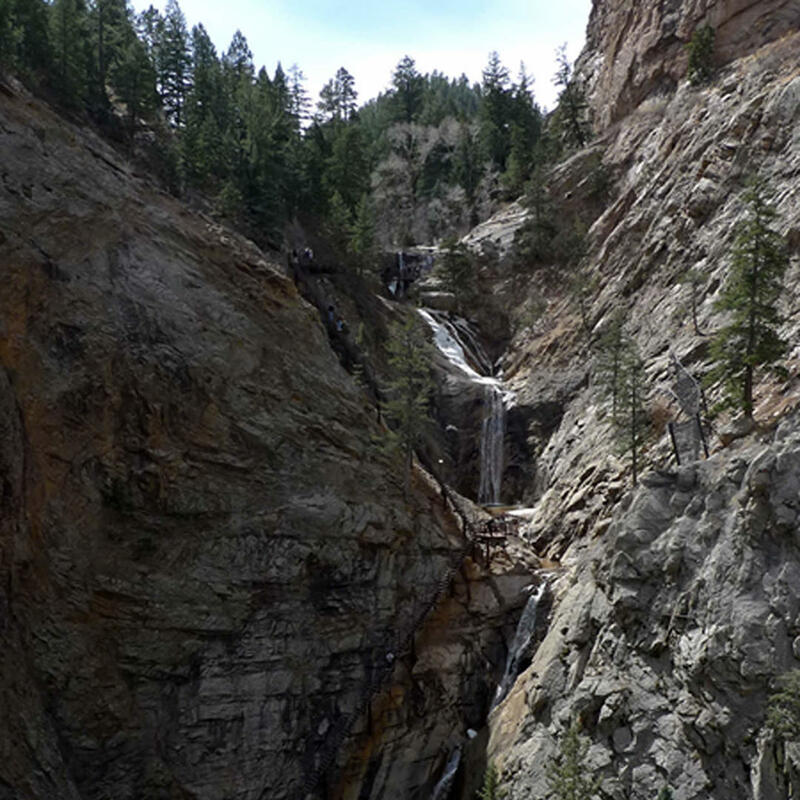 Colorado's famous natural beauty at Seven Falls is referred to as "The Grandest Mile of Scenery in Colorado." This privately owned tourist attraction opened in the early 1880s and features a series of seven cascading waterfalls. From the top of the falls trails lead to Midnight Falls, near the headwaters of South Cheyenne Creek and Inspiration Point. The Broadmoor resort bought Seven Falls which had been owned and operated by various families since the 1880s.